There are many reasons to choose to buy your contact lenses from VisionDirect.co.uk - the UK's no.1 online supplier of lenses, eye care products and solutions. With prices up to 45% cheaper than opticians, next day delivery - free for orders over £49 and award-winning 24 hours a day, 7 days a week customer service, we think you'll be satisfied. What's more Vision Direct stocks the widest range of leading brands online - Acuvue, Biofinity and Focus Dailies, plus many more at a huge variety of prescriptions. So, whether you're looking for daily or monthly contacts, coloured lenses or multifocals, you're sure to find what you're looking for. With so many options available, choosing the right contact lens can be a challenge. Watch this video for our top tips on how to choose the best contact lenses for your eyes. Daily contact lenses are easy to use and throw away; no need to worry about storing them overnight or rinsing them in solution. Popular with active and busy people, dailies are worn by those who work long hours - for instance, shift workers. Sporty individuals often prefer dailies too, as they're more hygienic than monthlies, and can be worn during sport and discarded straight after use. Many people find dailies to be more comfortable and convenient, as they don't need rewetting and there is no worry over dirt or makeup building up on the lens surface and causing infection. Many leading brands of dailies are available at Vision Direct, including Focus Dailies All Day Comfort, 1-Day Acuvue Moist, everclear ADM and 1-Day Acuvue Trueye. Two weekly contact lenses, also known as bi-weeklies, are designed to be worn for two weeks and then replaced. They are best suited to people who seek a compromise between the convenience of dailies and the cost-effectiveness of monthlies, plus they're more hygienic than monthlies, as they are disposed more often. When you wear two weekly lenses, you will need to store, clean and rinse them each night in contact lens solution, to keep them moist and fresh. Vision Direct stocks Acuvue two weekly contact lenses, made from breathable silicone hydrogel. Monthly contact lenses are stored and reused for up to 30 consecutive days, making them an affordable option with less waste than dailies. When you wear monthlies it's important to choose a powerful and effective solution to rise and clean them in, like everclear Multipurpose Solution. Monthly contact lenses at VisionDirect: Air Optix Aqua, Proclear, PureVision, Biofinity, Air Optix Night & Day Aqua & lots more. Extended wear contact lenses can be worn continuously for a week or a month, depending on the type. Most are made from silicone hydrogel, a very comfortable and breathable material. Always check with your optician to determine if your eyes are suitable for this wearing pattern before purchasing extended wear lenses. Extended wear lenses at Vision Direct: Acuvue Oasys, Air Optix Aqua, PureVision, Acuvue Oasys for Astigmatism & more. Whether you wear prescription lenses or not, most people can wear coloured contacts for cosmetic reasons. If you don't need vision correction just select 0.00 power in the prescription field. Coloured lenses can really refresh your look and let you try out a new style, whether you want to wear them every day or purchase a daringly different pair to wear for a Halloween or fancy dress party. VisionDirect stocks FreshLook Colourblends contact lenses from Ciba Vision, a special type of lens built for comfort, which brings out a whole new tone and depth to your eye. You can choose from subtle shades of hazel, soft blue and honey, or opt for a strikingly different lens in emerald green, turquoise, or bright blue. FreshLook lenses are monthly lenses, and they can be worn for a period of up to 30 days before needing to be changed (they should be stored overnight in a good multipurpose solution). The lenses are made from 55% water and 45% Phemfilcon A, making them ultra breathable and comfortable to wear. If you wear a special type of contact lens to address a specific vision problem, it is very likely that you can buy it from VisionDirect. Even if your lens is not in stock, we can usually order it in for you, and once you've ordered a few times we'll make sure to stock your lens, meaning shorter delivery times. Toric contacts help to correct vision problems caused by an irregularly-shaped cornea, and will fit more comfortably than regular lenses if you suffer from astigmatism. They also help to prevent blurring and hazy vision which can be caused by astigmatism. If you are not sure whether you need a standard or toric contact lens, you can refer to your prescription or give us a call and check your prescription with us. Toric contact lenses for astigmatism from VisionDirect: Focus Dailies Toric, 1 Day Acuvue Moist for Astigmatism, Biofinity Toric, PureVision Toric & more. You can wear multifocal contact lenses to correct presbyopia, without having to wear bifocal or varifocal glasses. Contacts offer you freedom to enjoy daily life and sporting activities without glasses, which you might not have realised was possible if you previously wore varifocal or bifocal glasses. Vision Direct stocks soft multifocals made from breathable silicone hydrogel and materials that enhance comfort during use. If you are unsure whether multifocals are right for you, or what sort of lens you need, it's best to check with your optician before wearing. Vision Direct stocks a wide range of multifocal lenses from leading manufacturers, including Focus Dailies Progressive, Proclear 1 Day Multifocal, Air Optix Aqua Multifocal, Proclear Multifocal & more. As the UK's largest and most trusted online supplier of contact lenses, we sell a lot of lenses and know which ones are the most popular! Whether you need dailies or monthlies, standard or torics, you can see which brands are most popular for your type of prescription. One of the UK's bestselling daily contact lenses, these comfortable contacts from Ciba Vision use a unique blink activated moisture technology to keep your eyes comfortable all day and prevent irritation. The ionic lens surface ensures frictionless comfort, and Lightstream Technology™ keeps the lens light, comfortable and easy to wear. This ever-popular daily lens, manufactured by Johnson and Johnson, gives you great comfort and convenience. A light, breathable lens made from Etaficon A, Acuvue Moist uses unique LACREON® technology to lock in moisture and help you enjoy comfortable vision. A high level of UV protection helps keep your eyes safe in bright sunlight. Manufactured by Johnson and Johnson, Acuvue Oasys offer exceptional long lasting comfort and great value. These breathable lenses are made using advanced Hydraclear technology and Senofilcon A, a powerful silicone hydrogel material designed to allow hours of comfortable wear and moisturise the eyes. Strong UV protection helps to keep your eyes healthy and safe from bright sunlight. From Ciba Vision, Air Optix Aqua are unique monthly lenses that can be safely slept in due to the lens material, which lets in up to 5 times more oxygen than a standard lens. TriComfort technology allows you to enjoy wearing your lenses for longer, and help to prevent dry eye discomfort. Biofinity (Comfilcon A) contact lenses use patented Aquaform technology to provide optimum oxygen to your eyes. The naturally breathable material keeps your eyes moisturised and comfortable all day, while the aspheric front surface of the lens helps sharpen vision. You can even wear these lenses for up to 7 nights in a row without having to remove and store them, making them incredibly convenient and easy to use. Our most popular daily toric contact lenses, Focus Dailies Toric are designed to comfortably correct your astigmatism and offer long-lasting clarity of vision. Manufactured by Ciba Vision, these lenses use a special blink-activated moisturising technology and light, breathable material to offer you a great wearing experience. Johnson and Johnson have used advanced LACREON® technology to make this super comfortable and moisturising toric lens. The exclusive blink-stablised design ensures you have great vision, and there's no need to re-wet using eye drops. 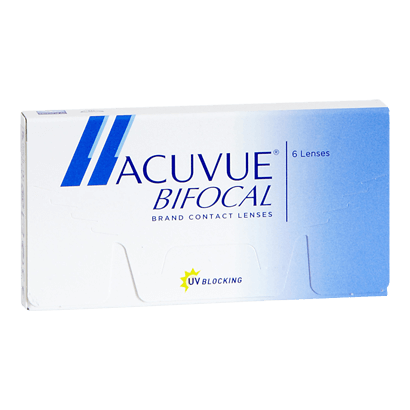 These lenses are great for wearers with astigmatism, and limit the irritation of allergies and dry eyes. 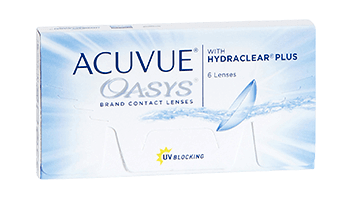 Acuvue Oasys for Astigmatism are weekly toric lenses from Johnson and Johnson that offer great comfort and long lasting moisture, thanks to exclusive Hydraclear Plus technology. Tinted markers help you to comfortably fit your lenses and ensure they're sitting in just the right spot to avoid irritation. Another great benefit is that these lenses block 90% of harmful UV radiation, making them one of the best lenses for sunlight protection. These monthly toric lenses from Ciba Vision offer high levels of comfort and excellent vision correction for those with astigmatism. Patented TriComfort technology and advanced silicone hydrogel materials ensure you can easily wear your lenses for more extended periods without experiencing dry eye discomfort. For more information on our most popular contacts, please contact our friendly customer care team on 020 7768 5000, by email - help@visiondirect.co.uk or use our web chat.